System76’s Ubuntu-based Oryx Pro is a Linux laptop loaded with features also found in some of the fastest Windows laptops. The Oryx Pro can be the ultimate Linux gaming laptop. 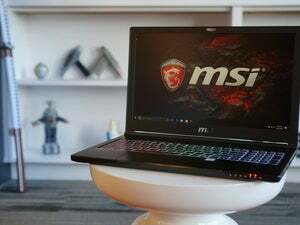 It can be configured with a 15.6-inch 4K screen and Nvidia’s latest Pascal GeForce GTX 1070 GPU. The laptop with those features starts at $1,987, and goes higher as more storage and memory are added. The ultimate 4K Oryx Pro configuration with 9TB of SSD storage prices out at $7,012. It comes preloaded with Ubuntu 16.04 or 16.10. There’s an option to get the laptop with a 15.6-inch full HD screen and Nvidia’s GeForce GTX 1060 GPU starting at $1,499. The laptop can also be configured with 17.3-inch 1080p screens. Windows laptops dominate gaming, but more titles are expected to make their way to Linux. Oryx Pro can also be used for engineering and scientific applications. Many professional users frustrated with the slow Mac upgrades are moving over to Linux. The System76 laptop has been engineered to take advantage of 4K screens and Nvidia GPUs. So the features will work right out of the box, without any additional tweaking. But there’s one disappointment: this laptop has Intel’s older Core chips based on the Skylake architecture, not the newer Kaby Lake chips. Intel hasn’t yet released Kaby Lake chips for gaming laptops. Linux laptops are getting sophisticated. Dell’s slick-looking XPS 13 Developer Edition laptop, which is Linus Torvalds’ favorite, has an edge-to-edge screen and Kaby Lake chips, but can’t be configured with a 4K screen or discrete GPU. The Oryx Pro has m.2 SSD slots based on the super-fast NVMe technology, and two slower 2.5-inch SATA III drive slots for SSDs or hard drives. The laptop supports up to 64GB of DDR4 memory. It has two USB 3.1 Type-C slots, three USB 3.0 slots, an SD Card reader, a gigabit ethernet slot, and 802.11ac Wi-Fi connectivity. It has an HDMI port and two mini DisplayPort slots. It also has a back-lit keyboard and 1080p webcam. Battery life for the laptop wasn’t immediately available.